Donald Trump's White House broke a two-decade-old tradition last year by cancelling the president's annual Iftar dinner. On Wednesday night, the annual Ramadan reception, conceived in the 1990s to celebrate Muslim-Americans, was back on. All that was missing? It seems any Muslim-American guests. 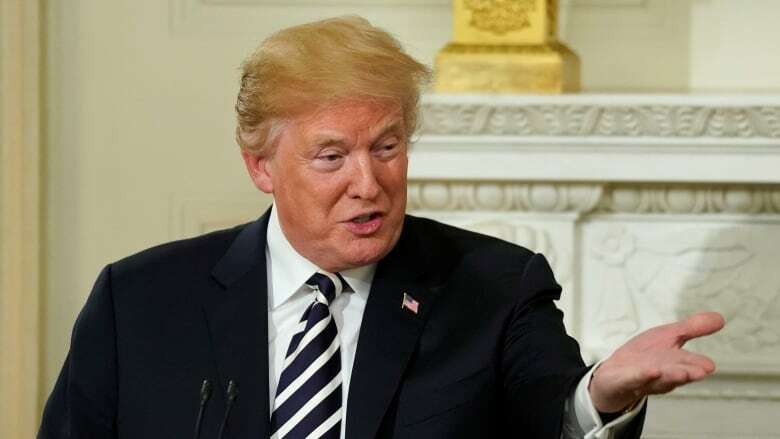 Donald Trump's White House broke a two-decade-old tradition last year by cancelling the president's annual Iftar dinner. On Wednesday night, the annual Ramadan reception, conceived in the 1990s to celebrate Muslim-Americans, was back on. All that was missing? Muslim-American guests. CBC has yet to confirm the attendance of a single one. "That's astounding," said Ebrahim Moosa, an Islamic studies professor at the University of Notre Dame. "The only two Muslim congressmen? I mean, one would have thought they should have the opportunity to attend, even if they disagreed with the president. 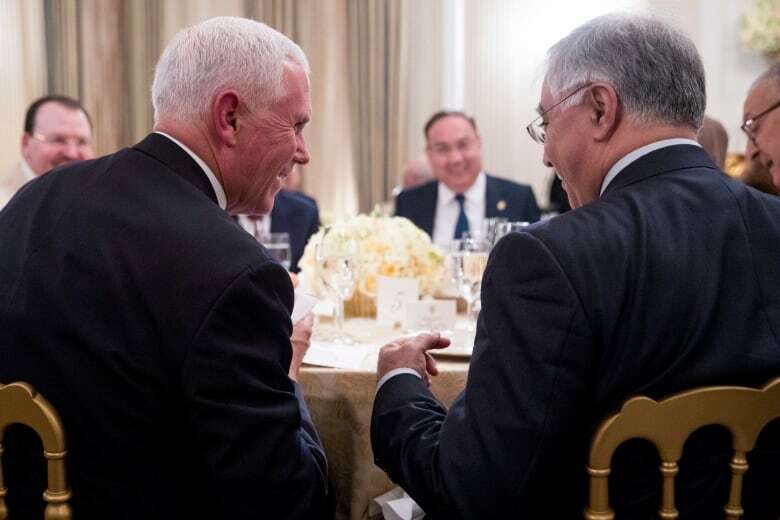 They likely would have attended out of respect for the office of the White House and as a duty to represent themselves as Muslims at this event." Moosa chalked it up as a "pre-emptive" move by the White House to save itself the embarrassment of having to reckon with an avalanche of rejections. "I think it comes down to, 'Let's invite the diplomats. 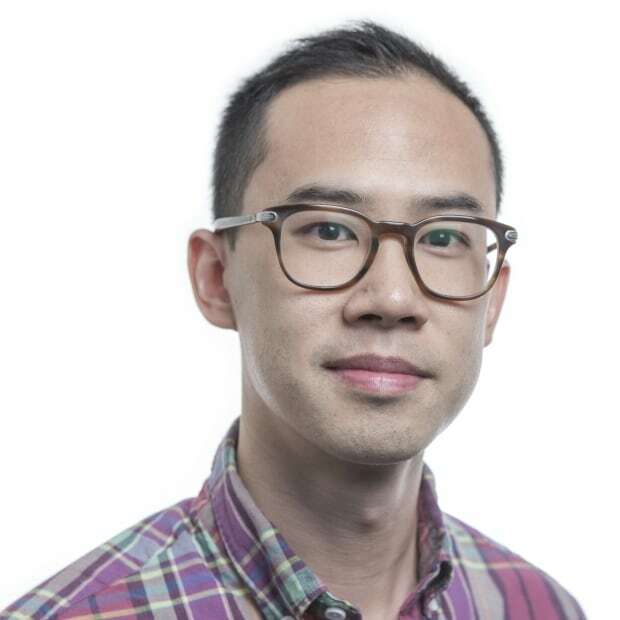 They won't have much of a choice.'" The Iftar reception, introduced during the Clinton era, was meant to symbolize how Muslims are woven into the American social fabric, Moosa said. The event holds deep symbolic meaning, he said, with the highest office in the land recognizing the holiest month on the Islamic calendar. Now, the event's intended purpose appears to be changing, Moosa said, with the White House apparently regarding Muslim identity through the narrower lens of foreign policy. Even Trump's highest-profile Muslim ally felt slighted. 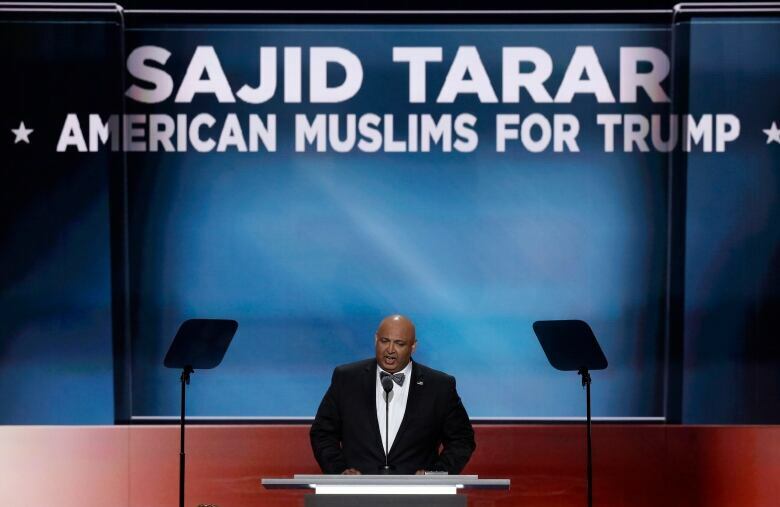 "It's not the right way of doing things," said Sajid Tarar, the founder of American Muslims for Trump. "Frankly speaking, I was very disappointed." Tarar, who frequently acts as a pro-Trump surrogate on CNN, participated in the White House's National Prayer Day last month. Republican leadership had him deliver a benediction on stage at the Republican National Convention in 2016. "Of course" he was expecting an invite, Tarar said. Instead, he was told it would only be for foreign diplomats "and some cabinet members." "Last year, when the president skipped [the Iftar], I mentioned it to the White House." Tarar says he pressed Trump's aides at the time that "it was not the right decision" to forgo the annual reception, given the president's strained relations with the Muslim community. Trump claimed in a 2016 CNN interview, "Islam hates us." And the Supreme Court is currently weighing whether Trump's executive action to restrict the travel of people from six predominantly Muslim countries is constitutional. "I think it is clear being Muslims, [the impression is] we aren't welcome in this country with this administration," Ghayda al Ali, an associate teaching professor in Arabic and Islamic Studies at Georgetown University, said of the lack of Muslim-American representation at this year's Iftar. "For me," she said, "this was just show and tell." There's a certain irony, too, in excluding American Muslims from the Iftar, said Mohamed Nimer, a professor at Washington's American University. "For a president who says, 'America First,' you would think Trump would care most about those Muslims who are American," said Nimer, who studies the American Muslim experience. The revived Iftar would have been an opportunity for genuine engagement with a marginalized demographic, said Mustafa Gurbuz, a non-resident fellow at the Arab Center Washington think-tank. Instead of easing tensions, Gurbuz said, Trump's Iftar revealed a policy shift. "[It's] excluding most prominent American Muslim groups, while including rich elite who have convenient transnational relations with the president." The message it communicates, as Gurbuz sees it, is: "If you're an activist demanding immigration rights, you're an enemy. If you're opening a cash box and work with Donald Trump, you're a Muslim to be worked with." Comedian Dean Obeidallah noted the president has had investments and ties in Saudi Arabia, Qatar and the United Arab Emirates. "This is not for us; this is for him," Obeidallah said. "I imagine it might be more like a board of directors meeting from all the Trump-related properties than actual Iftar." The White House declined to provide an official list of attendees, citing protocol for East Wing events, and it didn't respond to requests for comment on why only diplomats were invited this year. The State Department referred questions to the White House. 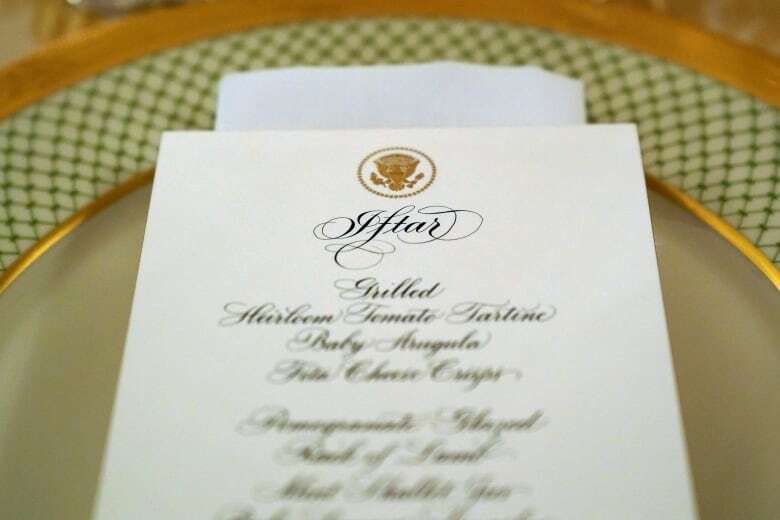 The White House Iftar tradition began in 1996, under Bill Clinton's administration, and continued with the administrations of George W. Bush and Barack Obama. 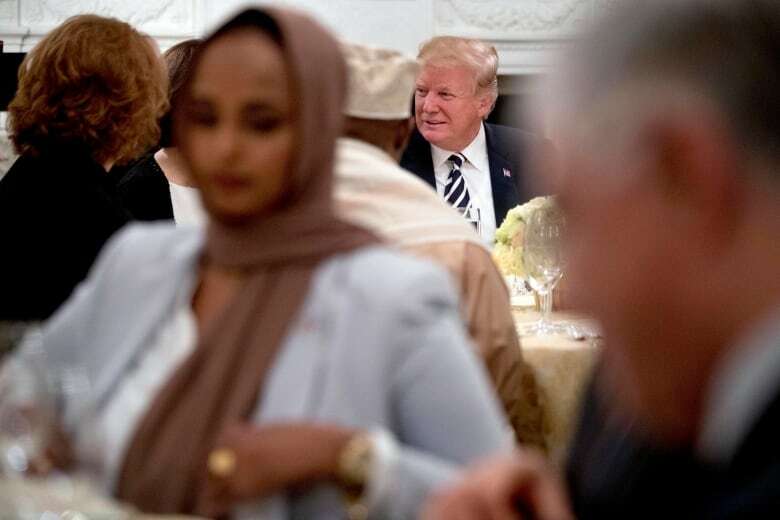 News about the 2018 Ramadan reception, first reported Sunday by Politico, set off online jokes, with incredulous Muslim-Americans quipping that the event sounded like a bait-and-switch, akin to the horrific Red Wedding episode from HBO's Game of Thrones. Imam Shareef of the Nation's Mosque in D.C. said he would have considered attending, on the condition it not be "just a showpiece" for the president, but a forum in which community members can engage Trump about their concerns. 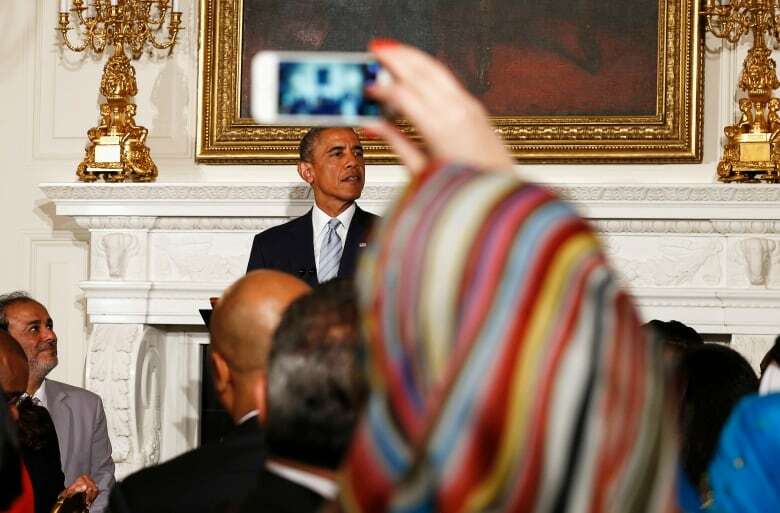 During Obama's 2014 Iftar, guests confronted him about the Muslim surveillance program. 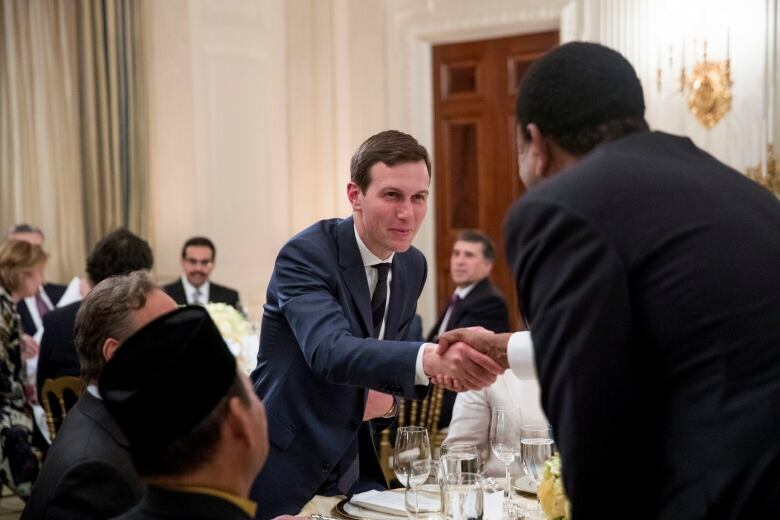 Ziad Ahmed was a 16-year-old high school sophomore from New Jersey when he attended Obama's 2015 Iftar, after creating the stereotypes-busting website Redefy. "I got to have dinner with President Barack Obama. To connect with trailblazing American-Muslim leaders in a celebration of community," Ahmed, now 19 and studying at Yale, wrote in an email. "I left that night feeling so proud; so confident that my identity as an American-Muslim is not — and has never been — contradictory. I am American, I am Muslim, I am American-Muslim." As a show of engagement with Muslims, Ahmed believes the White House Iftar now rings hollow, given what he called Trump's "track record of explicit Islamophobia." "Engagement," he wrote, "isn't just a dinner."